The best ski town in the world where ski-in ski-out meets Main St. My home since 1980, for me it was love at first sight. I met my wife here the first week in town and it was love at first sight with her too. Once we spent a season here we knew there would never be another place for us. Almost 40 years later we have loved every day spent here. 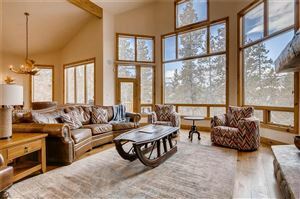 It's a great place to raise a family, come for vacations any time of year and many people are choosing it for retirement. We have the longest life expectancy of any county in the USA because of the active life style. 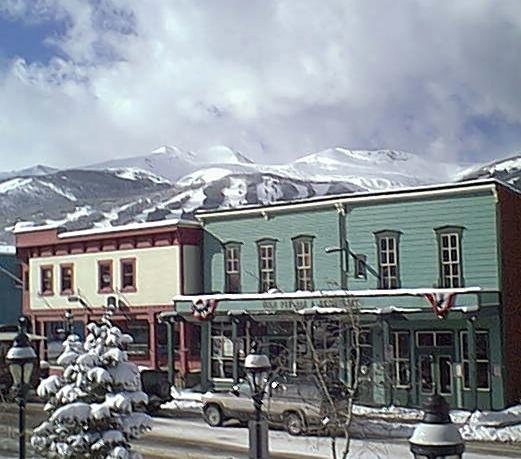 Long know as one of North Americas favorite ski resorts Breckenridge is one of the few where a genuine historic mining town is joined at the hip to the most modern of ski resorts. Boasting a multitude of high speed lifts servicing all types of terrain. Breckenridge is a perfect place for beginners to learn, families to tear up the endless groomers or rad dudes/dudettes to jump in the chutes and bowls. Come ski us. Hundreds of wonderful shops and restaurants are the perfect compliment to thousands of acres of world class skiing. Main St. is what you wish every small town was like. Variety for every taste in gifts or cuisine set in an old fashioned atmosphere. No neon here. Victorian facades and carved wood signs are our trademark and make you want to come explore over and over. Main St. is home to year round festivals and the Riverwalk Center has world renown entertainment on a continual schedule. Winter brings Ullr Fest and the Snow Sculpting Championships. Summer is for art festivals, The National Repertory Orchestra and our down home 4th of July celebration. Summer brings amazingly beautiful outdoor activities. There is 36 holes of Jack Nicklaus designed challenging golf. Paved and backcountry bike trails fill the mountains. Hiking trails are everywhere. Don't miss the Breckenridge Recreation Center for your workout, tennis or the pools and hot tubs. 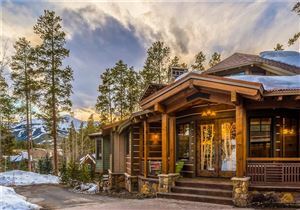 Breckenridge will give you a lifetime of pleasure.